Today, on June 14, 2018, the opening day of FIFA World Cup in Russia, the Presidential Library hosted a discussion focused on the most popular game in the world. The videoconference brought together the authors of the popular science and history magazine Rodina, sports journalists, representatives of Rossiyskaya Gazeta, football historians in Rostov-on-Don, librarians and library guests in Yekaterinburg, Ryazan, Kaliningrad, Perm, Voronezh, and Admiral Ushakov State Marine Academy in Novorossiysk. Within the framework of the discussion a new issue of the popular science and history magazine with "Russia’s football" central theme was presented. 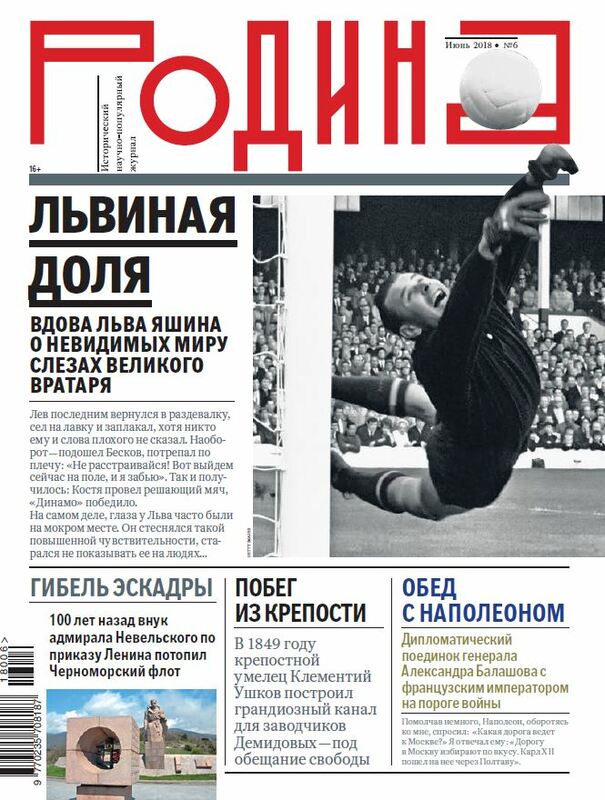 One of June’s central materials is an interview with the widow of the famous Soviet goalkeeper Lev Yashin. It may seem that Valentina Timofeevna has long ago told everything about her legendary husband, however for the magazine’s authors she recollected several less-known stories. In addition, the magazine will provide answers to some questions, and namely - why football has remained the favorite national game, what did football players teach the poet Yevgeny Evtushenko and other engaging facts. Rodina’s June issue features memories of fans, for whom this game has become something more than just a game, as well as photographs from Yashin family archive and little-known pictures illustrating different football moments. 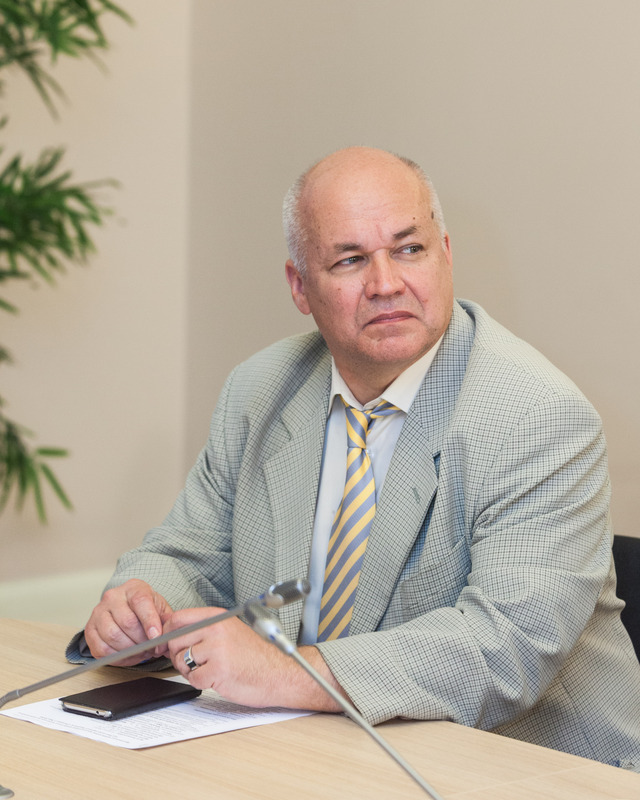 A permanent participant of the Presidential Library’s events, sports journalist and writer Konstantin Osipov said: "It is very important that on the opening day of the World Cup we have gathered here, we are talking and discussing. Due to such meetings, which unite several sites in different cities, we collect stories, write a kind of a sports chronicle, create electronic heritage in a modern language that will remain for the younger generation." The journalist also reminded that this discussion continued the series of events of the Presidential Library, which preceded the opening of 2018 FIFA World Cup. Thus, in May, the Presidential Library launched a round table which highlighted cultural and educational projects dedicated to the history of Russian sport. 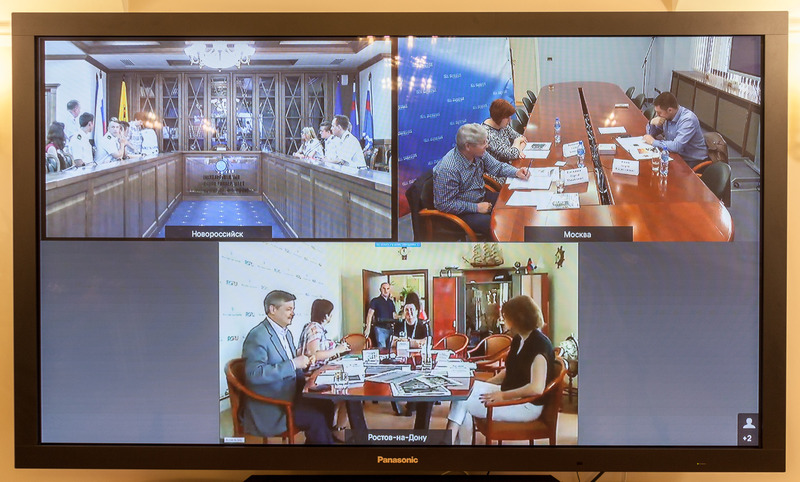 Via the videoconference cities-participants, including Moscow, Volgograd, Saransk, Sochi, Samara, Yekaterinburg, Kaliningrad joined the event. They in particular demonstrated the work that had been performed in Russian regions to prepare for the championship. The key project of the Presidential Library dedicated to Russian sport was the digitization of unique materials from the country’s largest libraries: the Library of the Russian Academy of Sciences and the National Library of Russia. The documents show the development of Russian sports. They let you find out which Russian football terms were borrowed from English and also discover the experience of first commentators as they learnt to describe the game. The Presidential Library has been actively running its own educational sport-oriented projects. In the first place, this is a large electronic collection with a focus on the history of sport in Russia. It comprises official documents, archival materials, studies, educational literature, reference and visual materials, and periodicals. Football is in the spotlight of the collection. One of the most striking projects carried out by the Presidential Library has become the exposition "More than just a game: timed to FIFA World Cup in Russia" in the exhibition hall of the historic Synod building. It is free to visit until September 26, 2018. The exhibits reflect the milestones in the history of Russian football, while St. Petersburg may be considered to be its birthplace. It was here that the first football match took place, and the country’s first football league appeared. The Presidential Library presents an anthology of the statutes of sports societies, literature and press materials about sport, video lectures of the famous football historian Yuri Lukosyak. Among the unique exhibits is the ball autographed by "Zenith" footballers, which witnessed a significant victory at the USSR Championship in 1984, the official ball of FIFA World Cup 2018, the model of the new "St. Petersburg" stadium, executed in the smallest detail. In May within the framework of the video lecture "Knowledge about Russia" a meeting with Arseniy Klementyev was held in the Presidential Library to mark 2018 FIFA World Cup. Arseniy Klementyev is two times European champion in football freestyle, a prize-winner of world championships, the owner of world records in some disciplines of this sport, as well as the founder of the Football Freestyle School. At the event the sportsman explained to students of St. Petersburg educational institutions the idea of football freestyle and its difference from football, told about the types, directions and prospects of its development, and also demonstrated the masterly technique of ball handling. The Presidential Library also opened the electronic exhibition of the works-winners of "Football is my favorite sport" contest, which had attracted junior pupils and launched a tour. The drawings will enter the holdings of the Presidential Library and become accessible on its website. On the threshold of FIFA World Cup 2018 another multimedia exposition was opened at the Presidential Library. It provided the materials focused on the history of Russian sport: posters of football matches, the rules of football game, published in 1903, and even tickets for landmark football tournaments. Along with them there are current documents that have already entered the history, for example, photos and videos about the construction of unique architectural buildings - new stadiums in the cities-participants of the championship.